Mini plans for the 2019-20 season will be announced in June. Please check back then, or call 508-365-1750 for more information. Please see last year’s pricing and information below. Score a Worcester Railers HC 6 Flex Package today! Each 6 game flex package comes with a free Worcester Railers beanie! The 6 tickets can be used in any combination for any game! 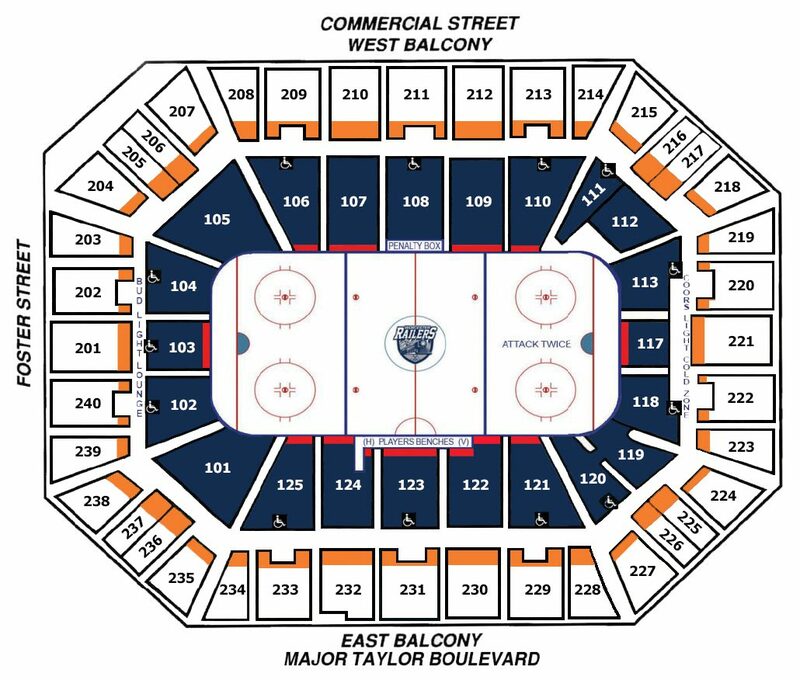 Can sit in any available seat per level purchased! Every 6 Flex Package comes with a free beanie! The 6 Flex Pack ticket package starts at just $99. Call 508-365-1750 to reserve your 6 flex pack today! Show your commitment to professional hockey in Worcester and we will show our commitment to our local community! Join today! Score a Worcester Railers HC 12 Flex Package today! Each 12 game flex package comes with a free Worcester Railers hat! Every 12 game flex ticket package comes with a free hat! The 12 Flex Pack ticket package starts at just $190. Call 508-365-1750 to reserve your 12 flex package today!